Calling all Dynamics 365 (CRM) Administrators! 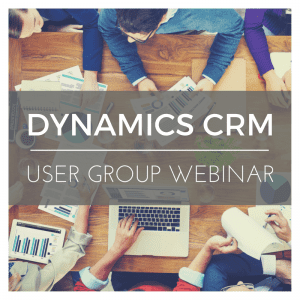 If you are looking for Admin focused tips, tricks, and best practices to make all your users think that you are a Dynamics Super Hero, we invite you to join our upcoming complimentary monthly user group webinar on November 15th. In our October webinar, our Dynamics 365/CRM experts provided Part 1 of our “Top Admin Tips” that included data management, auditing, cascading rules and solutions that included third party imports. If you missed that episode, you an easily catch up on-demand. On November 15th, we will be firing up Part 2 with more Admin Tips that include specialized and read-only fields, XRM Toolbox, Microsoft Flow and a list of resources available that all Admins should bookmark and visit. If you cannot attend the live session, you can register and we will email you a link to access on-demand once the webinar is complete. You do not need to be a customer of Ledgeview Partners to attend the webinar, just have a passion for Dynamics 365/CRM and a mission to drive more productivity and results from your solution. This webinar is open to Admins, Users, Developers, Managers – well everyone! Now Available On-Demand – Watch here!